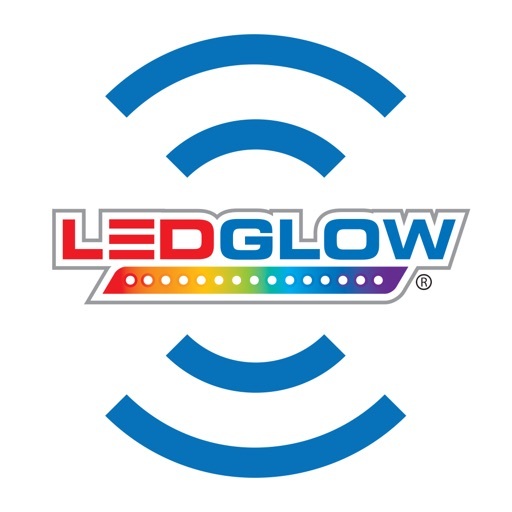 LEDGlow’s first Mobile Control App for our Million Color Wireless LED Underbody Lighting Kit set the standard with Bluetooth Connectivity, which seamlessly integrates with the first version of our model. 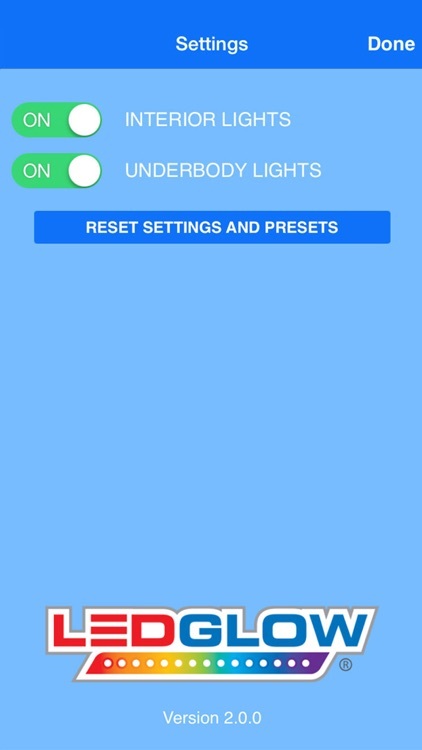 This app set the bar of LED automotive underbody and interior lighting. 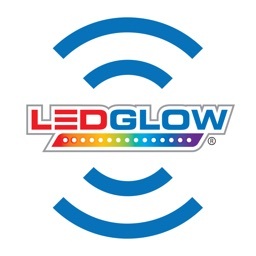 Our app will provide you with unrivaled LED underbody lighting control and revolutionary lighting options right at your fingertips. 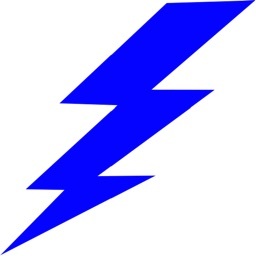 The first version of our LEDGlow Bluetooth-enabled control box must be installed in order to utilize this application. 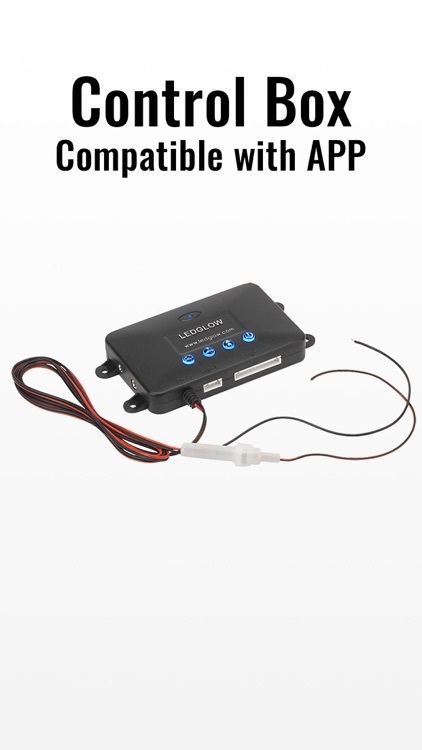 To purchase or find out more information about the necessary hardware required for this app, please visit LEDGlow.com/MobileControl. 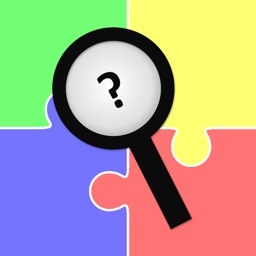 iOS 9.1 & up required. 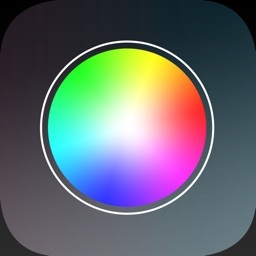 Once your device is connected to the controller, all of the power to control colors, patterns, speed, brightness, and more rests in the palm of your hand. 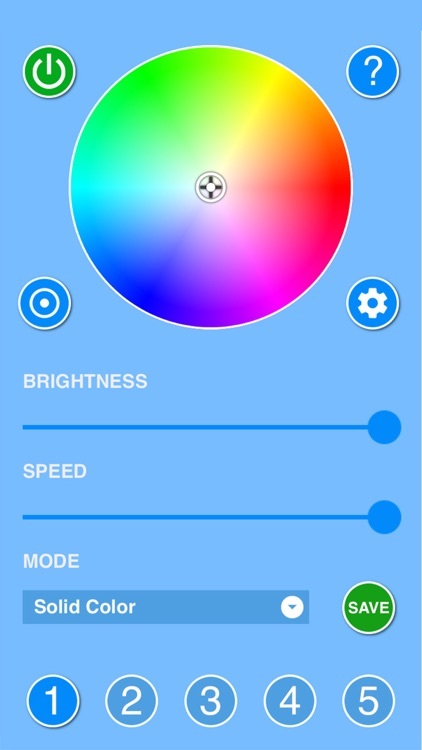 The featured color wheel lets you effortlessly select any color in any shade, giving your ride an unsurpassed look. 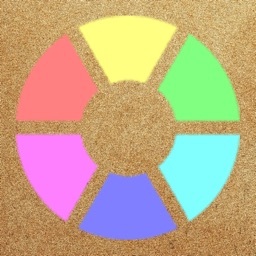 The brightness of each color is easily changed with the slider that is located under the color wheel. 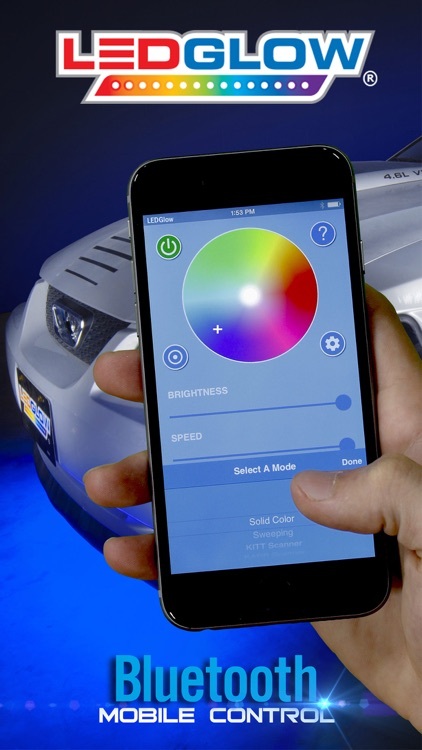 Your LED underbody lights, wheel well lights, and interior lights will shine vibrantly thanks to the help of our app. 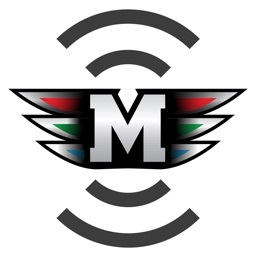 Another incredible feature that this app offers is the ability to set primary and secondary color options in a pattern for a unique two-tone look, in addition to also letting you select from different colors running on your underbody and interior tubes. 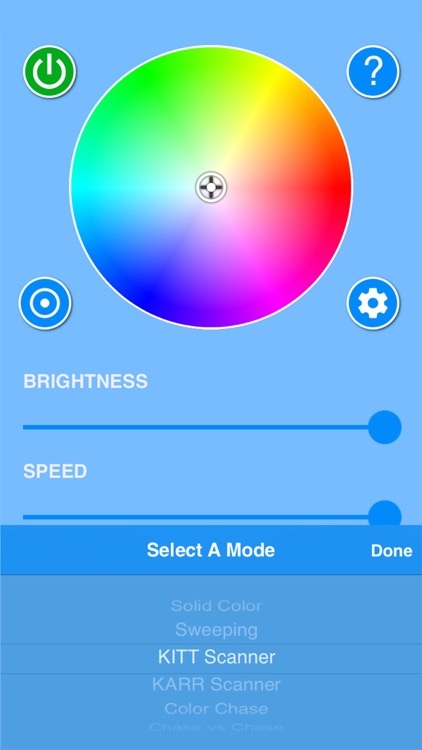 Once you have customized your color, pattern, speed, and brightness settings, you can easily save your custom configuration to any of the 5 programmable presets. Easily turn your underbody or interior tubes off individually with a simple touch of your screen.